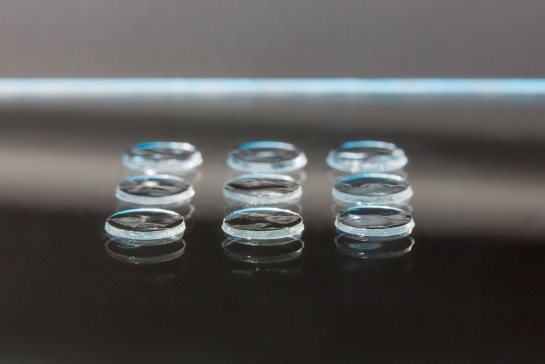 Self assembling collagen mimetic peptide and porcine collagen hydrogel discs for in vitro cell cultures (see Guide to Choosing Hydrogel Material). Cellular adhesion, proliferation, process outgrowth and interaction can be modulated by changing hydrogel stiffness, introducing surface active molecules, surface patterning, or shaping hydrogel surface to fit special experimental needs. 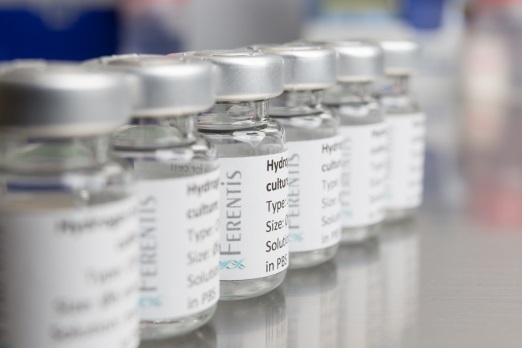 Our hydrogels can be made to other dimension or packing specifications, please contact info@ferentis.eu. The diameters provided for the individual cell-culture plate wells are provided for orientation only; disks of some dimensions will have room left around the well wall. We can package other quantities or manufacture other sheet dimensions per your specification. As these are new materials, prices shown are indicative and introductory, and are subject to change subject to changing costs, market conditions, the modifications requested, the quantities ordered, etc. All prices are in Euro and do not include VAT (21%, for orders outside the EU). For orders within the EU 0% VAT will be applied.